Southlands is a 37 acre parkland area in Bermuda and located in Warwick parish. The estate has wonderful garden pools, woodland areas, a beach of its own, a historic main house and limestone quarry gardens. In 1700s, the ministers of the Warwick's Christ Church used to live in this estate. During those days when the island's oldest school Warwick Academy was going through a bad time, the ministers used to take classes at this estate. Over the years the estate changed many hands. There was a time in early 1800s when the limestone blocks from the quarries at the Southlands were used to construct many buildings at Hamilton City. One of the prominent owners of Southlands was James Morgan, a rich businessman who bought the property in 1911. He also bought some of the adjoining properties expanding the estate to about 80 acres. During his time, the estate went through many developments and beautification. He converted the limestone quarries into beautiful quarry gardens. You will also find many garden pools and pathways in the estate. He also expanded the estate's main house. As you go around the estate, you will see yellowwood trees and the endemic wild Bermuda pepper trees. The estate stretches towards the south shore and has its own beautiful and secluded beach known as the Marley Beach. James Morgan was a generous man and donated large amounts for expansion of the parish school Warwick Academy. The road next to the school, Morgan's Road, was named after him. He died in 1932. There is a large mausoleum in the Southlands estate where both James Morgan and his wife were buried. Brigadier Maconochie purchased the estate subsequently and used the area as a training ground for the U.S soldiers. It was then called the Southlands Anti-Aircraft School. In 1977, the estate was purchased by Willow Bank Foundation, who later sold it off to a group of businessmen in 2005. Until very recently, the group had planned to build a five star luxury hotel in Southlands. 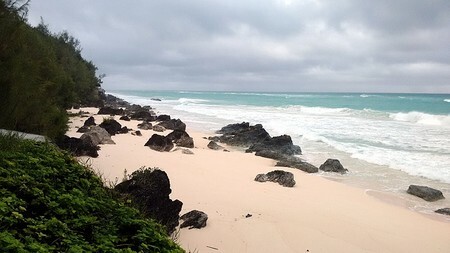 This prompted a huge public outcry as that would result into spoiling such a wonderful natural area hardly to be found in Bermuda. After a lot of controversies and meetings with the government, in 2010 September it became almost certain that Southlands will remain in its natural state and the group will be instead allowed to build the luxury resort in a place called Morgan's Point in Southampton parish. Bus Route #7 (operating between Hamilton and Dockyard). 2) Check out Warwick to find out other great attractions in the parish. Dear Raj, Thank you for the article on Southlands. I realized after reading it that the magical place I had stayed in Bermuda in 1976 was Southlands. My uncle had rented a house there but as a teenager I didn't understand much about it except that it was a wonderland for nature lovers like myself. In fact for me it was actually a spiritual experience, if you will. I live in San Francisco and have not been back to Bermuda, but I never forgot about the amazing Southlands. I was very sad to hear it might be developed. Is there anyone/government official to whom one can write I favor of retaining Southlands as a preserve? (I am under the impression that the deal to preserve it is not certain yet). Please let me know, if you have time to respond. Thank you. Hi, you can write to Bermuda Department of Parks (they do not use emails though). Phone: (441) 236-4201, Postal Address: P.O. Box HM 20, Hamilton HM AX.